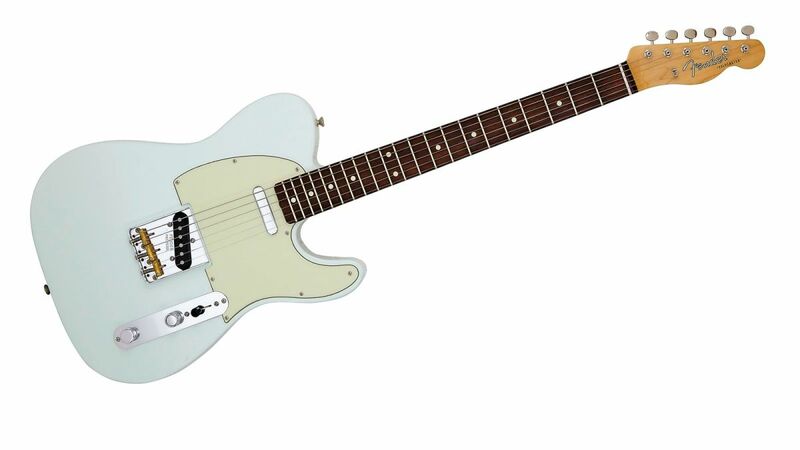 This guitar was launched around 2001 and is still on Fender's web site in 2018 with what would appear to be alomost the same specs. 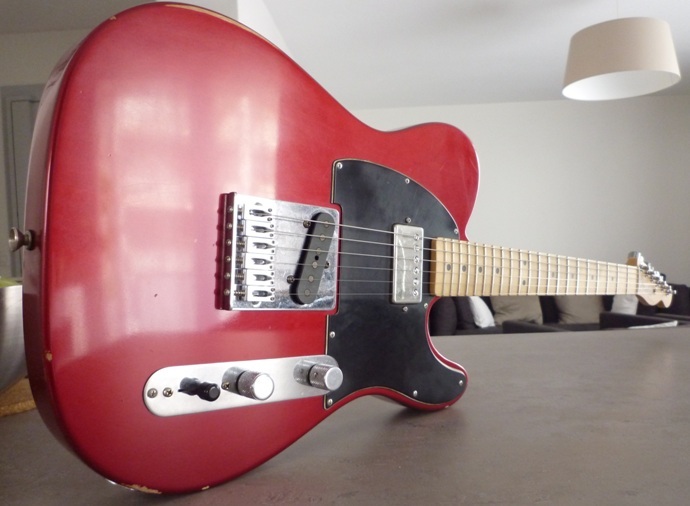 The only difference is the replacement of the Rosewood board with Pau Ferro for obvious reasons. With the exception of any FSRs the colours have remained constant as Olympic White, Candy Apple Red and Black. Although in 2018 black has been dropped. 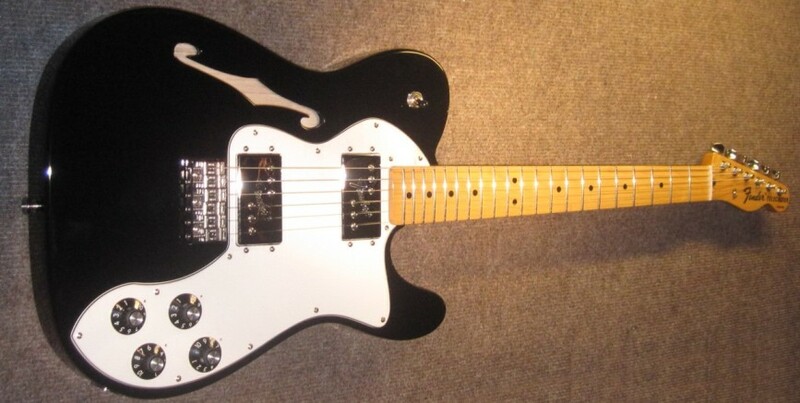 This is a reissue of Fender's first and most basic guitar a single pickup telecaster although the routing is there for a neck pickup to be fitted. 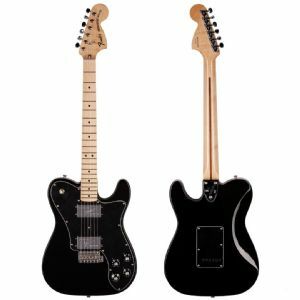 It was first available in 2005 and whilst it isn't on Fender's 2018 web site you can still find some new ones for sale so suspect production has only recently ceased. All the above information is provided by Rafasounds from Brazil via the Stratocaster forum. To add Colours at launch in 2006 were Blonde or Desert Sand. 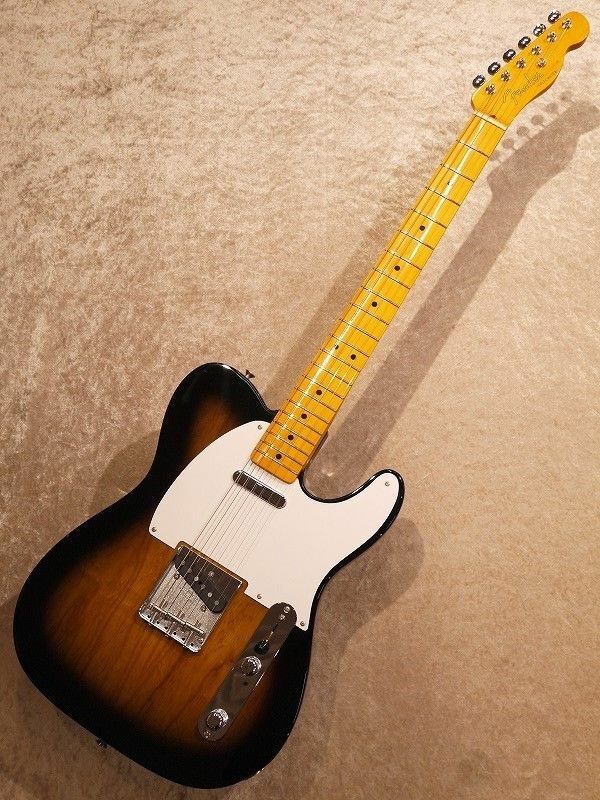 Black and Sunburst were available from 2012 Desert Sand had gone but Blonde remained. As the Baja this is also designed by Chris Fleming who works in the custom shop and is a 60s take on the Baja. 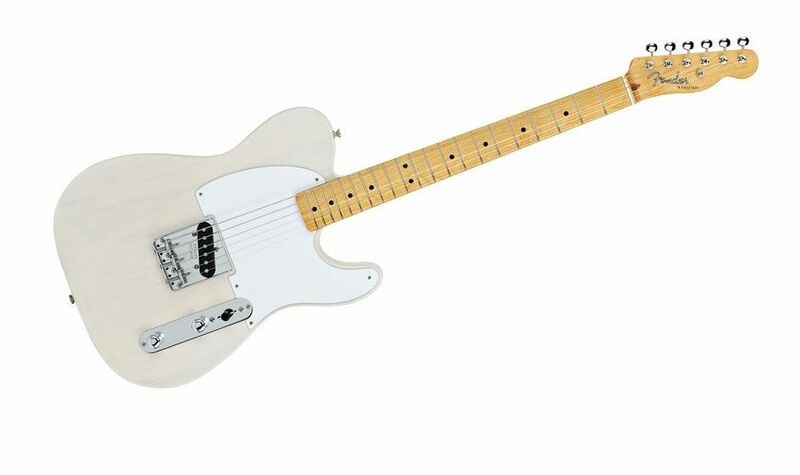 Fender's marketing blurb says this is designed by Custom Shop master builder Todd Krause. The more cynical view is that this didn't take much designing is just various existing Fender bits put together. Launched 2015 no longer available. But I have never seen any in Inca Silver or Shoreline Gold, this list also suggests that none were made in Shell Pink, but I have one which proves there were some or at least one. At various times there have been other colours both 2 and 3 colour sunbursts, black and natural and probably others including FSRs. They also claim that the pastel colour Thinlines are mahogany, but looking at the cavities they look like ash to me. 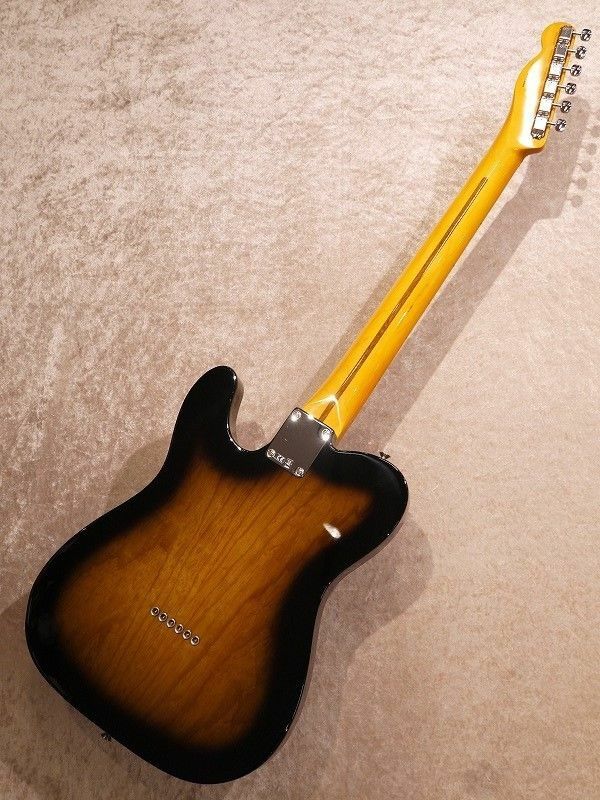 Or maybe alder, but certainly not mahogany. 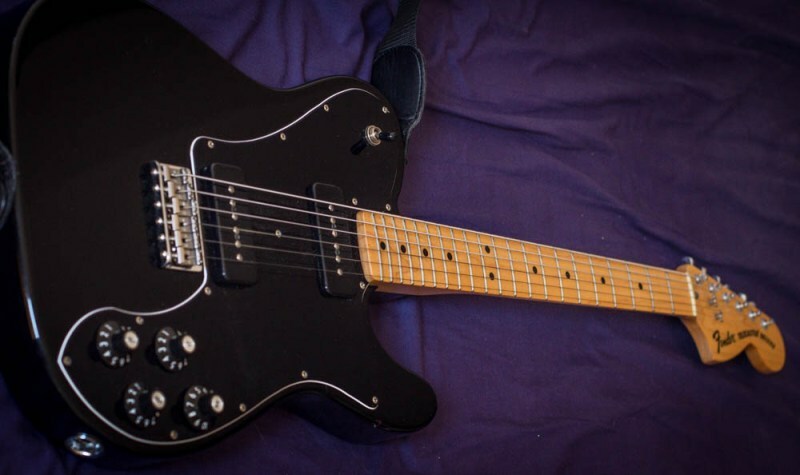 This is why I have so little faith in Fender's published specs, they seem to me to be a sort of rough guide to what things might have rather than the definitive document that some people see them as. 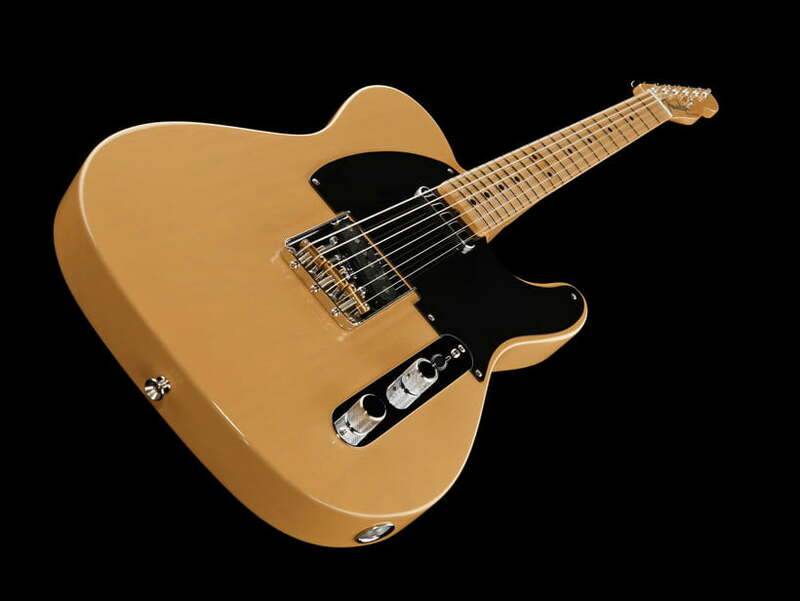 This is the current 2018 offering based on the 69 Thinline. Full details on Fenders site. 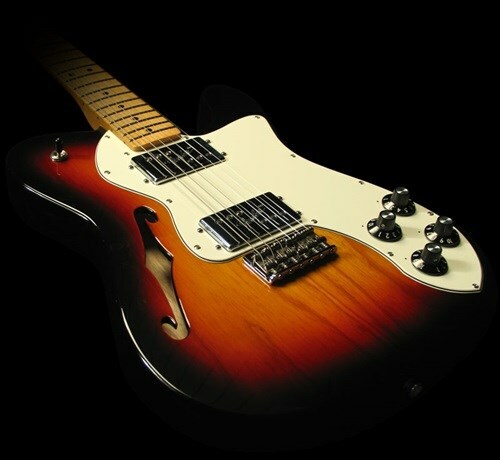 This guitar was released in 2009 and first appears in the 2010 Frontline. It is still a current model in 2018. Pickups 2 Tex Mex single coils 1 metal covered 1 angled six polepiece black. Scratchplate 5 hole black Nut Synthetic bone 1.65"
Controls 1 volume 1 tone Knurled Chrome and a 3 way switch with a black barrel tip. A short lived model released in 2011.